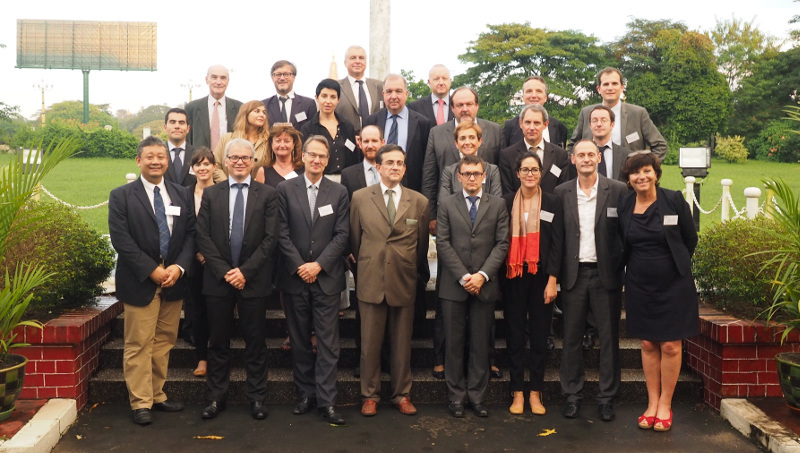 As a member of a MEDEF corporate delegation on a week-long mission in Myanmar, AGS Executive Director Joëlle Castro participated in her capacity as a French Foreign Trade Advisor. As a member of a MEDEF corporate delegation on a week-long mission in Myanmar, AGS Executive Director Joëlle Castro participated in her capacity as a French Foreign Trade Advisor. This was a fantastic opportunity for delegates to partner with each other and government authorities through local development projects, and Joëlle also investigated the growth of AGS’ network in Asia.